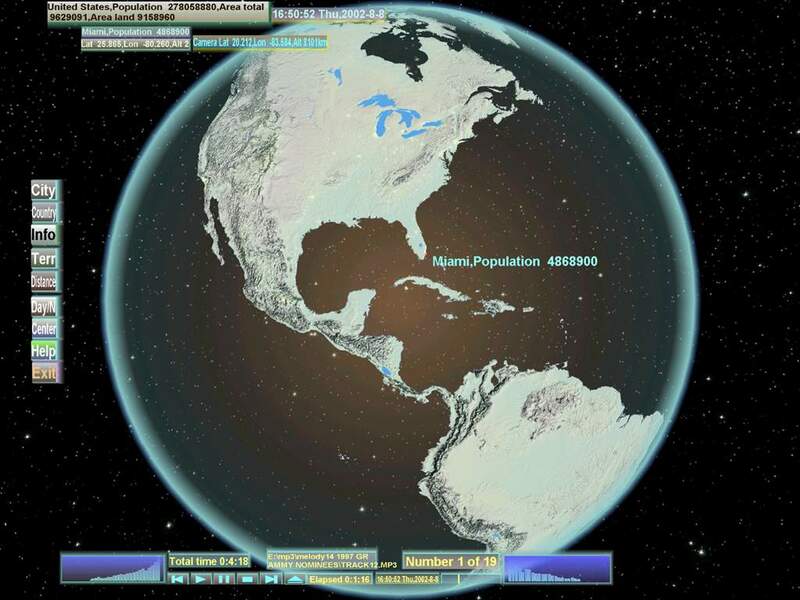 With 3D World Map you can browse the earth in 3D,and get some information of 269 countries and entities,locate and compare 30000 cities in the world, compute distance between any two points on the earth,and more. The earth model is real 3d,you can amplify the altitude above sea level to see how the earth looks like. 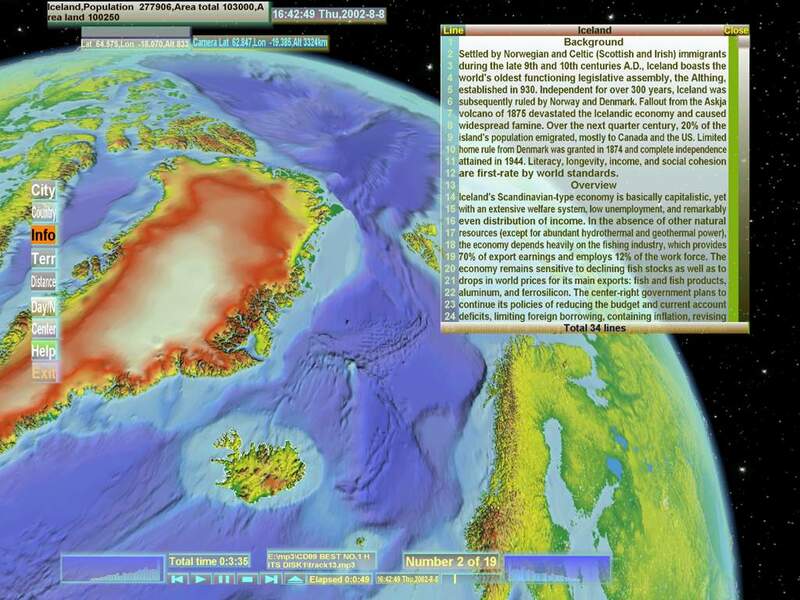 You can run the program as screensaver,with the amazing earth display on the screen. There is a built in mp3 player,it will pick a number of songs randomly from several directories or from all files according your settings every time the program starts,enjoy your favor songs during you browse the world. Almost everything is costomizable in this program,you can change the color of the earth, the color of any button or any windows and the text, if the text is too small or big, just zoom in/out by left and right drag together! Agelong Tree - With this powerful Make a family tree software.